Beer is an alcoholic beverage with a rich history and tradition that has influenced several different countries around the globe. For some countries, this is considered their national drink: places like the Czech Republic, Germany and Belgium have been making their own recipes for hundreds of years. Due to the traditions surroundings, this special type of beverage, a lot of research has been made surrounding its effects in the human body. 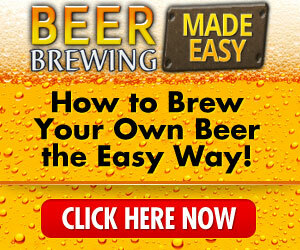 For this article, we will focus in one of its main ingredients: the brewer’s yeast. The yeast is a microorganism that is used not only to produce beer but also another type of food such as bread and sugar. The yeast is the organism in charge of the fermentation process. Yeast is not only used to ferment foods, but it has also been used as a dietary supplement. Many types of yeast exist in the market and can be found in the form of grains or pills. As previously mentioned, brewer’s yeast is mainly used to ferment the beer. Beer is a combination of water, malts, and loops. Depending on the type of yeast and other ingredients used in the beer process, the beverage acquires different types of flavors and smells. 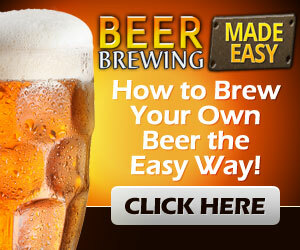 The selection of the correct ingredients is critical for the beer making process, especially the type of yeast used. Yeast is a fungus that can be extracted from many sources, such as rice and wheat. Brewer’s yeast is not only used for beer crafting. Other uses of the brewer’s yeast include fermentation of sugars, winemaking, energy (as an agent for industrial ethanol), and making of several other non-alcoholic beverages. Even some probiotic supplements use a certain type of yeast to help on the maintenance of the flora found in the gastrointestinal tract. 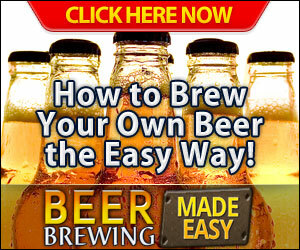 Consuming brewer’s yeast is usually an important part of a vegetarian or a vegan diet. The brewer’s yeast is an incredibly great source of several vitamins, especially those that belong to the B-Complex. Some of the vitamins found in brewer’s yeast are vitamin B1, B2, B3, B7 or also called vitamin H and B9. Other important nutrients that are found in brewer’s yeast are protein, chromium, and selenium. Nutritionists all around the globe recommend using brewer’s yeast to people that need to increase their B-complex vitamin consumption. The only crucial vitamin from this complex that is missing in this product is the B-12 vitamin, which can be found in some other dairy products like milk. Several international health institutions have conducted research about the benefits of brewer’s yeast in human health. Besides being an important source of B-complex vitamin and some other minerals such as chromium and selenium, the brewer’s yeast could have a potential use in controlling the levels of sugar in the blood for patients that suffer diabetes. The presence of chromium is the main argument for this claiming. This specific mineral helps in the reduction of sugar levels in the blood, which is something crucial for diabetes patients. This reduction in sugar levels could also help on reducing the amount of insulin that the diabetes patients need. This study, in particular, was published in 2013 in the International Journal of Preventive Medicine and has been widely cited and used to treat patients with type 2 diabetes. As a source of vitamins and protein, the brewer’s yeast can be an important part of a diet that tries to reduce the levels of body fat in the person. The presence of protein in the brewer’s yeast could help reducing the consumption of other sources that also contain high levels of calories. This claim still needs more significant evidence, but the Medical Center at the University of Maryland has been advancing in this subject. However, this does not mean that brewer’s yeast can replace a healthy diet and regular exercise. Always consult with your doctor to know what is best for your personal case before replacing foods in your regular diet. Several other claims have been made about the health benefits that brewer’s yeast has in patients that suffer heart diseases. A study published in 2013 in the Iranian Journal of Public Health concluded that the consumption of brewer’s yeast helped to reduce the blood pressure in patients with type 2 diabetes. It is important to note that, depending on the type of brewer’s yeast, this product could contain gluten. For people that are allergic to gluten, there is still some brewer’s yeast that is very low in gluten and can be consumed by them. Once again, brewer’s yeast is an active type of yeast and must not be confused with other types of yeast, such as the yeast that is found in nutritional and diet pills. Brewer’s yeast can be found in many other forms, such as grain, so it is important to double-check the acquired product to determine if it is the correct one. Previous article Is Beer Good for Your Skin?